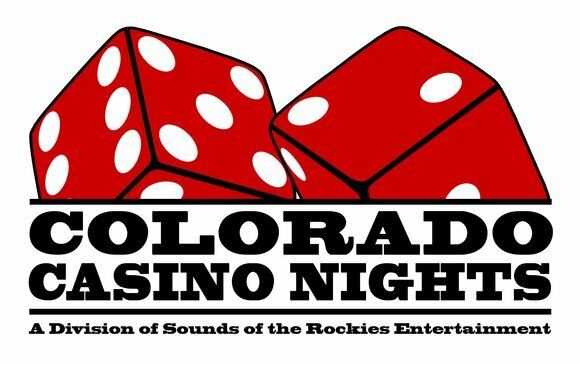 Colorado Casino Nights offers Three Card Poker. An exciting stud poker game that offers two ways to play and three ways to win. 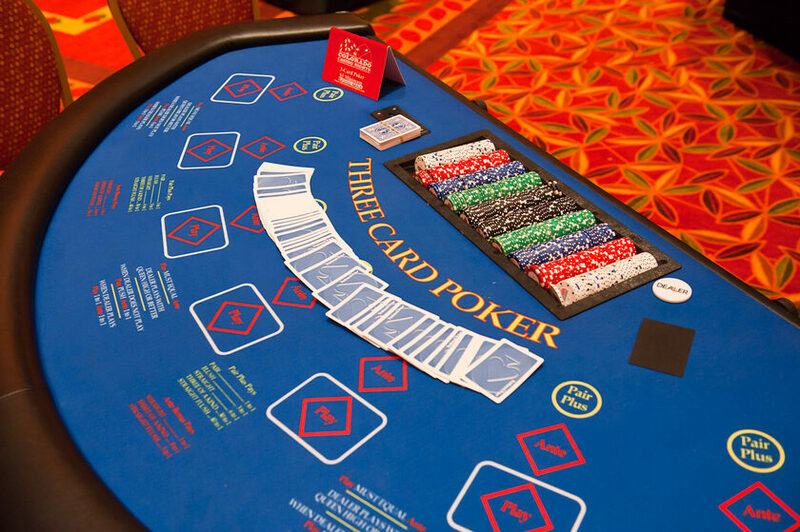 Players may bet against the dealer, and bet on the value of their own three card hand. Bonus payouts may be received for certain hands when wagering against the dealer. Players just love the fast-paced action of Three Card Poker. Three Card Poker (trademark name) or tri-card poker is a poker-based game that is played in casinos. It actually consists of two separate games, pair-plus and ante-and-play. The players can choose to play either or both of the games. 7-player Casino size 3 Card Poker table with original casino lay out. This table is built using the same design and quality that is found on professional Casino 3 Card Poker Tables. Requires One Dealer. Poker in its purest form, has been around for centuries, dating all the way back to 900 A.D., when Chinese Emperor Mu-tsung is said to have played domino cards with his wife. These “domino cards” set the stage for what we now call poker, using a ranking system of cards or dominos combined with the skilled art of bluffing one’s opponents to win the game. 3 Card Poker (or tri-card poker as it’s also called) is an American version of a British game called Brag. This game originated over three hundred years ago as a game known as Primero, a fast-moving betting game using only three cards. As the game evolved, it became known as Post-and-Pair and then again as Brag. This game made it to the States as Casino Brag and Brit-Brag, but eventually evolved again into the game we now know as 3 Card Poker. Pairplus is a simple bet on the cards with a pay out for all hands of a pair or better. Below are probabilities and six examples of actual pay out tables used by some casinos. For ante-and-play, the player places an ante bet before receiving his cards. The player is then dealt his cards and after seeing them, the player can fold his cards and lose the ante bet, or raise by placing out a bet of equal money to the ante bet. If he chooses to play, there are three possibilities. The first is that the dealer does not 'qualify'. To qualify, the dealer must have a hand of a queen high or better. If the dealer does not qualify, the ante hand tableid out even money, but the play bet is simply returned. If the dealer does qualify, the player wins if his hand is of higher value than the dealer's, and gets paid out even money on both his ante and play bets. If the dealer's hand is of higher value, the dealer takes the ante and play bets. Rules vary on what happens when the hands are of exactly equal value: some say that the player simply gets his money back, but others say that the player is paid even money on his bet. These bonus payouts are paid only on the ante bet for any player who chooses to play, regardless of whether the dealer qualifies or whether the player wins or loses.